~ ~ ~Jayne Stamps ~ ~ ~: Fall Broom Centerpiece and More Ornaments! 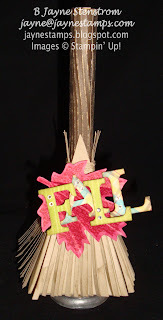 I can't believe that I forgot to show you this adorable fall broom centerpiece. I made it awhile ago and promptly put it on display, but I forgot to take pictures of it first. It IS still Fall, so I'm really not all that late, am I? So here is my Fall Broom Centerpiece. Close-up of the letters on the leaf. 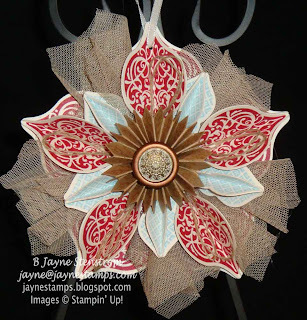 I got the tutorial from Create with Connie and Mary. You should be able to access it HERE. 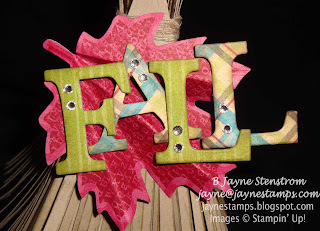 Very easy step-by-step instructions (with pictures!) so it's easy to see how to make it. 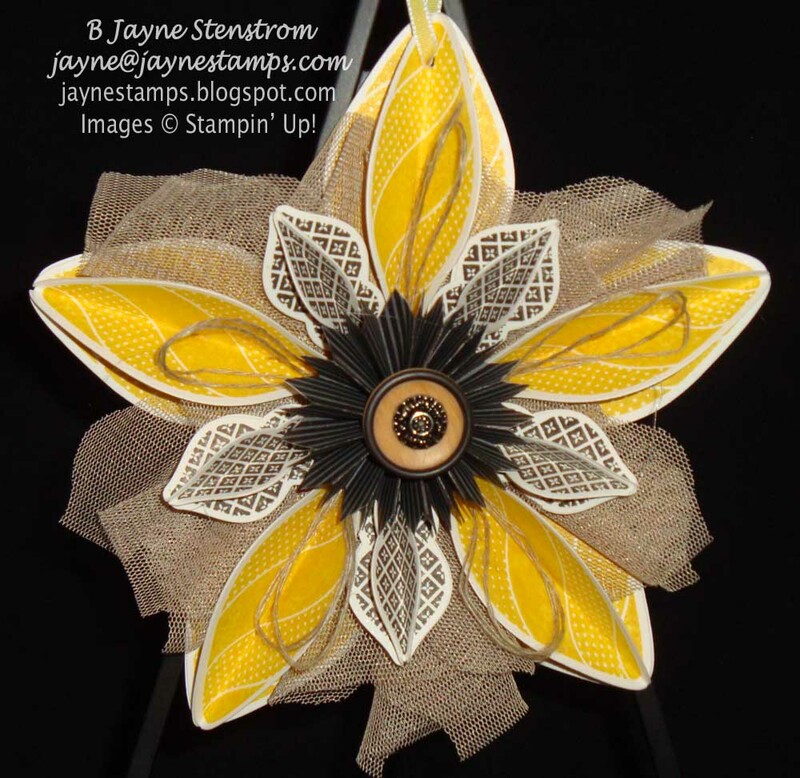 I made this one with Daffodil Delight to match my stamp room walls. I don't think I'll ever get tired of making these ornaments! Each one looks so pretty and different from the others. Do you have a favorite? I think I've made six now (or maybe it's seven). As long as I'm teaching someone how to make an ornament, I figure I may as well make one myself, right?